One of the anticipated films of 2019 will be Salman Khan starrer Bharat as it reunites him with his blockbuster director, Ali Abbas Zafar. They have already given two hits – Sultan and Tiger Zinda Hai. Bharat will feature Salman Khan sporting five different looks spanning 60 years, wherein a crucial part will showcase the actor in his late 20s, looking much leaner and younger. While many looks of Salman Khan have been shared by the makers earlier, two new looks have surfaced online which showcase different eras of Bharat. In one of the photos, Salman is sporting a much nerdy look with a plaid shirt, trousers and side parted done hair. 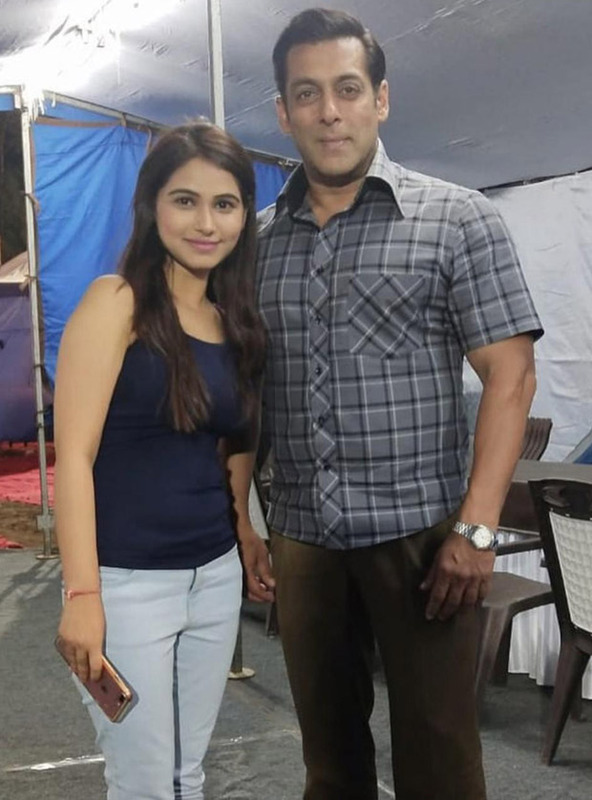 The photo was shared by TV actress Pallavi Gupta who got an opportunity recently to visit the sets of Bharat. Another look seems like from the song shoot which was either shot in Dubai or Malta. 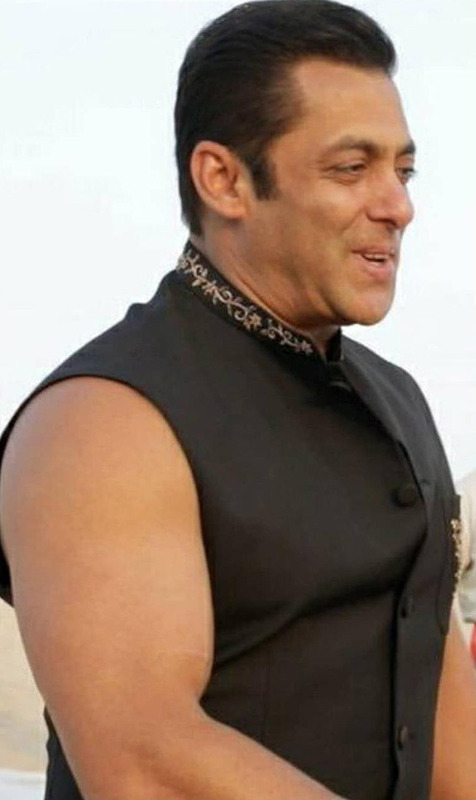 He is flaunting his big muscles in this candid picture and sporting a half jacket. It seems like the photo was taken during the song shoot with Katrina Kaif which is reportedly called ‘Ishq Di Chashni’. Bharat is set to have a character-driven story spanning across many periods. It also has Tabu, Disha Patani and Sunil Grover in pivotal roles. Directed by Ali Abbas Zafar, Bharat is produced by Atul Agnihotri’s Reel Life Production Pvt. Ltd and Bhushan Kumar’s T-Series releasing Eid 2019.